Several of the vintage crochet pattern books where I found the free crochet patterns that I am sharing on The Crafty Tipster make use of the English style of crochet. 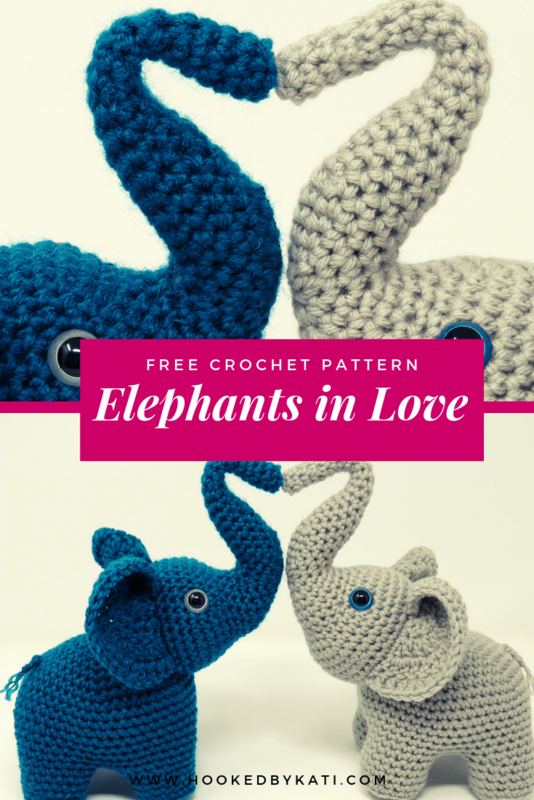 More modern crocheters will easily recognize the stitches but when it comes to the definitions of single, double and treble crochet the number of loops may differ. 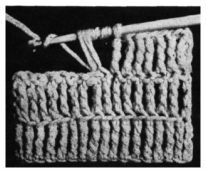 With that in mind, I’ve included here a guide to those English crochet stitches that were employed for the vintage crochet patterns from the text The Handbook of Wool Knitting and Crochet. In some ways these old stitch definitions make more sense than our more modern ones. 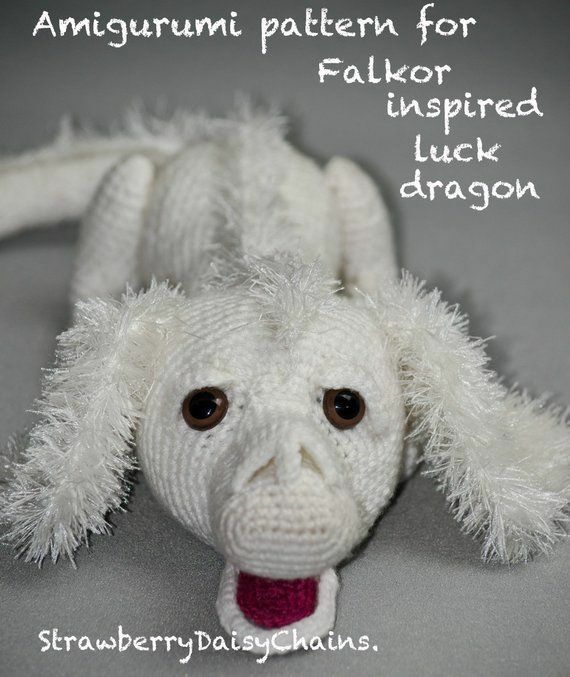 You will see as we go through the stitches how the single crochet has one “draw,” the double two, and the treble three, from which these stitches take their names. Make a loop of thread around the needle, take up the thread and draw through this loop (that is, push the hook under the thread that passes over the forefinger, draw it back, catching the thread, and pull this through the loop on the needle), forming a new stitch or loop, take up the thread and draw through this, and so continue until the chain is of the length required, tightening each loop as drawn through, so that all will be of uniform size and smoothness. The chain stitch is abbreviated ch. Crochet Tip – I firmly hold the chain between my thumb and middle fingers on my left hand (I’m a righty) to keep the stitches all going the same way. If you are not careful, your stitches can get somewhat twisted and it will make it more difficult to find the loops for the second row. 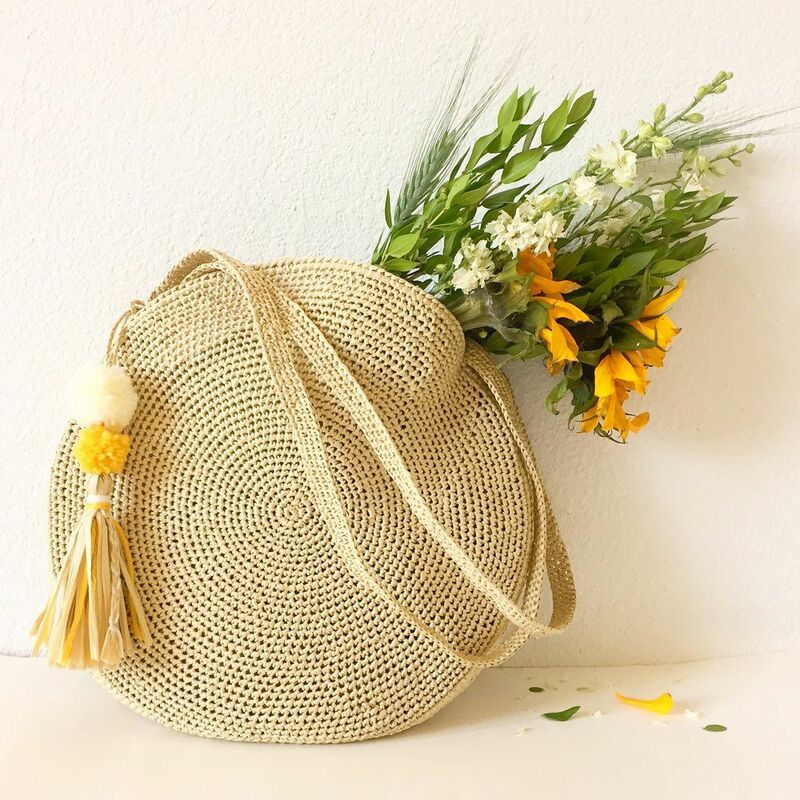 The slip-stitch is properly a close joining stitch: Slide the crochet hook out of the stitch and insert through the stitch of the work you wish to join. Slide the dropped stitch back onto the hook and pull through. 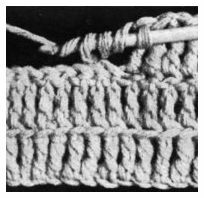 The abbreviation used in crochet patterns for the crochet slip stitch is sl-st. 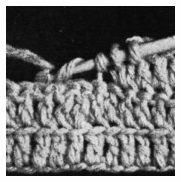 This is the first stitch where your nomenclature and that of the older English patterns will most likely differ.The English frequently called this the slip-stitch or mitten-stitch. 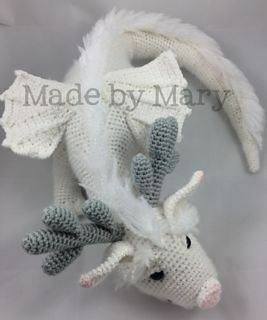 With a stitch on your crochet hook, insert your hook into the work, take up the yarn and draw it through the work and the stitch on your hook at the same time. 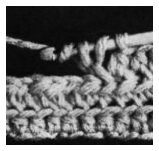 Single crochet is designated in crochet patterns with s c.
This stitch is the standard row stitch that many modern patterns refer to as single crochet.With a stitch on your crochet hook, insert your hook into the work (underneath both loops of the previous row), take up the yarn and draw through leaving two loops on your hook. 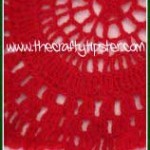 Take up the yarn and draw it through the two loops on your crochet hook. 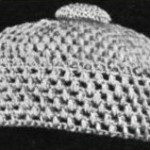 The abbreviation used in crochet patterns for this double crochet is d c.
The slipper-stitch or ribbed stitch is formed when the crochet hook is inserted only into the back-side loop of the stitch from the previous row. With a loop on your crochet hook, take up the yarn as if to make a stitch. With those two loops on your hook, insert your crochet hook into the work, take up the yarn and draw through; leaving you with 3 loops on your hook. Take up the yarn and draw through 2 of the loops, leaving two loops on your hook. 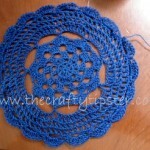 Take up the yarn a second time and draw through the two loops leaving one loop on your crochet hook. The abbreviation used for treble crochet in crochet patterns is t c.
With a loop on your crochet hook, take up the yarn as if to make a stitch. With those two loops on your hook, insert your crochet hook into the work, take up the yarn and draw through; leaving you with 3 loops on your hook. Take up the yarn and draw through all three loops at once. 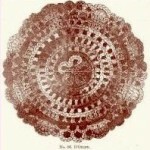 This stitch is also referred to as the short-treble stitch. With a stitch on your crochet hook, take up the yarn twice, or put it twice over the needle, insert hook into work, take up thread and draw through, making four stitches to be worked off; (take up thread and draw through two) three times. 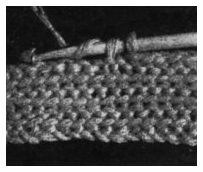 The abbreviation of double-treble crochet is d t c.
Take up thread three times, insert hook in work, take up thread and draw through, making five stitches on needle; work these off two at a time, as in double treble. 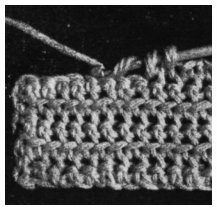 The crochet stitch abbreviation is t t c.
Crochet Tip: The vintage illustration of this crochet stitch displays a technique that is bound to leave you with a saggy mess. When you bring the yarn through the previous row, do not make a long loop like what is shown; keep the loop snug like the ones already on your hook. When you draw off the pairs of loops your crochet hook should be in a more perpendicular position similar to the previous stitches rather than running parallel to the previous row. Hopefully, these English crochet instructions will work for other vintage crochet patterns but the unfortunate truth is that they may not. An even more frustrating aspect of using these vintage patterns is the challenge of matching modern yarns to the vintage ones. 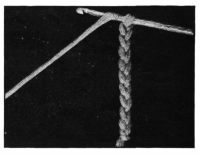 Even back in 1918, the author felt the need to warn their readers’ that there is no consistency among crochet hook sizes from manufacturer to manufacturer. In my collection, I’ve even seen some size variations with crochet hooks made by the same manufacturer at different times or with different materials. Generally, the crochet hook size recommended on the yarn should be within a size or two of what is appropriate.